French President Francois Hollande has said ISIS is responsible for the deadly Paris attacks that have left up to 160 dead and more than 200 injured. In a statement, President Hollande said that ISIS had planned the attacks from abroad with help from inside France. 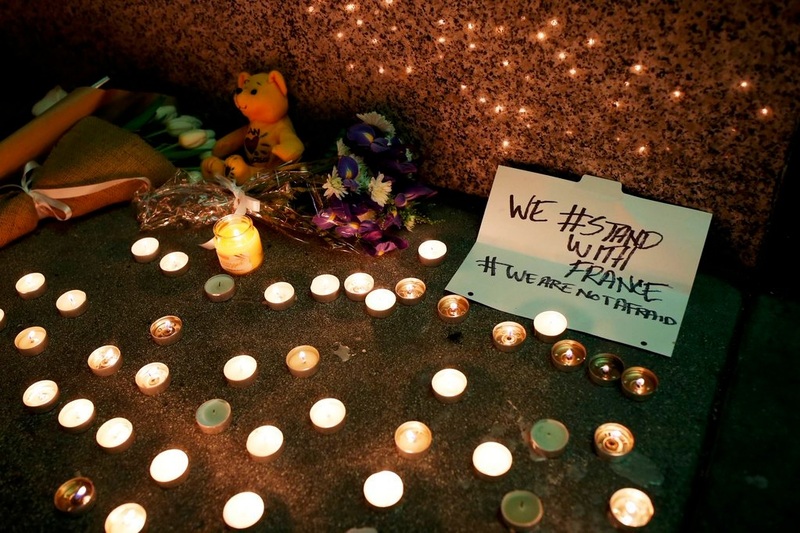 President Hollande also declared three days of mourning. Following President Hollande’s statement, ISIS officially declared responsibility, stating that the attacks were the “first in a storm” of coming attacks. The death toll from the city-wide gun and bomb attacks in Paris has reached at least 130, with some health sources stating 160 have been killed. Following the attacks, French President François Hollande issued a state of emergency and announced via a televised address that the military has been deployed across Paris, putting the city on complete lock-down. The President also decided to close the country’s borders in the wake of what he called “unprecedented terrorist attacks”. American Airlines has also suspended flights to Paris until additional information is available on the “tragic incident”, said a spokesperson. Meanwhile, for the first time since 1944, a curfew has been enforced in Paris. The city’s mayor also urged citizens to refrain from leaving their homes. While CNN reports ISIS has claimed responsibility for the attacks, there has so far been no official statement released by the terrorist organisation that is based in Syria and Iraq. Paris security officials told AFP that at least five terrorists have been killed, including three at Bataclan theater. Earlier, a hostage who escaped from the theater prior to the police raid told CNN that the attackers were “calmly” executing hostages in silence. He reportedly managed to escape as the assailants were reloading their guns. The theater attack was one of six attacks across Paris. Health authorities have reported that 118 people were killed at the Bataclan theater in the 11th arrondissement after four armed attacks opened fire on the crowd and held dozens of hostages. BFMTV, a French television channel, reported that one of the gunmen attacking the Bataclan music theater shouted, “This is for Syria” before opening fire. The four attackers were killed after three of them wearing suicide vests blew themselves up as police raided the theater. Around the same time, there was an attack on a restaurant in the 10th arrondissement, killing 11. The restaurant is in the same neighborhood as the Charlie Hebdo office, where three gunmen killed several of the newspaper’s staff in January of this year. These attacks came shortly after twin blasts were heard outside the Stade de France stadium in Paris, where a friendly soccer match between Germany and France was being held. President Hollande was at the Stade de France to watch the soccer match but was evacuated as the explosions were heard from inside the stadium. There have also reportedly been two other shootings in rue de Charonne and at the Les Halles shopping mall.